Getting excited over here. Fresh out of online class (IST 613: Library Planning, Marketing and Assessment). Oh, husband. I am thinking back on last night. We were talking about plans for Thanksgiving and family. I think you were upset by the conversation. When the conversation changed, the mood remained. I heard you say something about our neighborhood using the word indigents. I perceived a negative (belittling) connotation and said so in my critical response. I woke up too early, feeling troubled. I worked it out with yoga by candlelight, early breakfast, and pleasure reading Anne of Green Gables. You came looking for me around 6am. We returned to bed together, with plenty of time to spare for pre-work cuddling and canoodling. So far it seems easy to find our way back from most emotional side trails. I am at work. I am talking with Patrick and I use the word cathartic in a sentence. I like the way it comes out of my mouth, and I compliment the word. I dub it my word of the day. Catharsis and cathartic both trace to the Greek word kathairein, meaning “to cleanse, purge.” Catharsis entered English as a medical term having to do with purging the body—and especially the bowels—of unwanted material. The adjective cathartic centered English with a meaning descriptive of such a physically cleansing purge. It didn’t take long for people to start using these words figuratively in reference to emotional release and spiritual cleansing. I use a quote design website to create some shareable, post-able social media content. The quote content is sourced from the recent New York Times article “12 Authors Write About the Libraries They Love“. After work, I go to the gym. I return home from the gym and empty the contents of the fridge into my digestive system. When Anya arrives home, she and I have a reflective talk about identity and marginalization. The conversation begins when she compares the vibes given off by two people who spoke with her Julliard class. I fill in the husbometer spreadsheet with today’s data and observe that the average is stable. David – fresh from the shower – takes a look at the data with me. The day started as I hope it will end. There was peaceful sleep, cuddling, touch, comfort. A sense of possibility. I made french toast with the artisan bread David picked out. David settled into League of Legends. I resumed watching The Kindergarten Teacher on Netflix, and went to the gym again. I like watching movies while I climb stairs. This movie starred Maggie Gyllenhaal. The movie was compelling and uncomfortable. I sprinted home. The day gave way to an odd mood. We were discussing the organization of the closet. David launched into problem solving. He imagined relocating the bed, and a desk with built-in storage. I replied with concerns about cost. That spiraled into a moment of low self-esteem regarding my income. David hastened to move the car. I wanted to join him, but wanted snacks more. I encouraged him to go start the chore. I would catch up to him. A note about my husband: he moves very fast. I did not catch up to him. In fact, he moved the car by the time I arrived to where it had been. I had my carrots, hummus and empty spoon, but no opportunity to ride shotgun. I love riding shotgun. I felt disappointment, called him, and then took a solitary walk. I knew my disappointment was silly. Returning home, I eat and think about my work. He settles in a giants game, and resumes the closet organization project that I began. Husbometer gets a design facelift. Now it displays the daily averages instead of sums. Stairs – restarting some fitness habits. Shopping – refilling the cabinets and cooking. Had a hard time leaving Mom. Tried to start my drive back to NYC too early in the day. Mom looked sad to see me leave. She watched me from the doorway. She withheld tears. I started driving and felt pulled to stay. So I pulled over, called a few people, and then turned around to be with her again. I hung out with mom by the fireplace until around 6pm, when my restlessness became too much. Returning to David was bliss. He met me on the sidewalk. Oh, hello there. Me here popping in for a quick entry. Mom’s first time out of the house today since the surgery. We went to the Smilow Cancer Hospital for her post-op check-up. We managed to forget paperwork and lose a canteen, but otherwise smooth sailing. We came home with yummy takeouts from Tolland Pizza and Big Y. The postman came by with two boxes of chocolate-covered strawberries from the Fronings! Mom got emotional reading the note. I’m really proud of her strength. Husbometer is quiet today. Excited to return to David in time for the weekend. I am sneaking in a few visits with family and friends tonight and tomorrow morning. Eager to visit with Olivia for the first time since the wedding! Mom is relaxing by the fireplace with Chloe. While I spend time with my mom, David and I are still apart. We’ve returned to our middle distance relationship habit of communicating via Google Chat. Mom is doing better. Her walking improved and the wound-draining slowed. I filled my day with mini projects from work, school and life around me. My current class is challenging me to think about library planning, marketing and assessment – and how that can be applied to my current political action work for libraries. I liked hearing the sound of UConn marching band rehearsal through the woods during my hike. I messaged with David about career and family planning. Plugging along with husbometer data from a distance. I guess I should leave categories blank when we’re doing distance? It causes me to realize that my husbometer categories are flawed. Reality may necessarily cause us to break from reporting in some of these categories. It also challenges me to consider management of my own expectations. What would happen if I ranked these categories in terms of importance to me? Why would I rank them that way? The “little things” and “friendship” categories are similar, I’m realizing. In recording data, I’ve also noted a relationship between the friendship and communication categories. Communication is increasingly important to me. So much revolves around communication: emotions, trust, sense of friendship, support, self, and future direction. My criteria for rating each category is a little willy-nilly. It’s based on memory and instinct. Today, I journeyed home to be with my mom. She is recovering from surgery. The drive went quickly. I listened to video lectures for my online coursework. Near the end of the drive, I ran an errand in Ellington for mom. After getting medicine from the vet, I stopped off to explore the local library. Impressive board game and cake pan circulating collections! After lunch with mom, I settled into computerland. Zack visited with Duke, and I completed my first GoodReads book review! (Something I hope to continue doing to better develop my librarian powers of reading-recommendation). For Whom the Bell Tolls by Ernest Hemingway. Edition borrowed from my husband’s family. Emotionally? We’re doing okay. A lot of love, excitement, and little moments. We’re still learning to communicate effectively with each other, and that may be a lifelong project. The commitment part of things is the steel frame in my vision for the future. 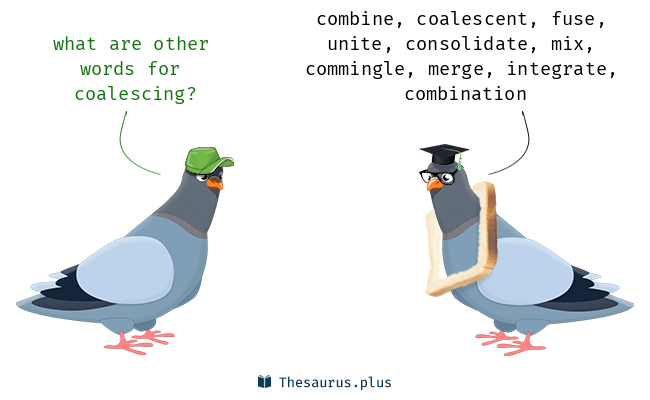 David uses the word “coalescing”, and I like that.